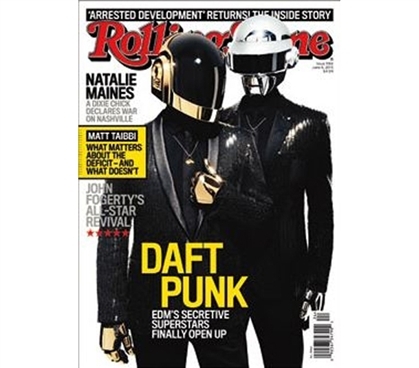 The mystique of the masks behind Daft Punk makes them only cooler! And if you like their electronica music, then this cool dorm poster will be a great supply for your college wall decor. When considering dorm decorations, and especially with music posters for college, it's important to shop for cheap posters that will reflect your tastes. Music posters will of course share your music interests, and since this dorm decor item is framed inside a Rolling Stones cover, it'll also be a unique dorm decoration. Considering just how much college stuff is on any thorough college shopping list, from XL twin comforters to trunks for college students, be sure that posters don't go overlooked. They're dorm necessities for any student who needs to decorate for college.